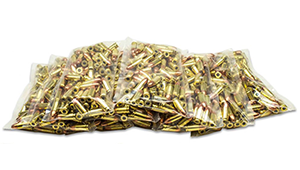 Why pay extra for colorful ammo boxes with plastic trays that only end up in the trash? 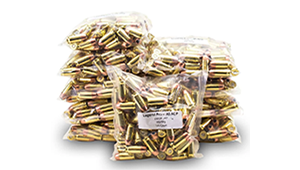 This bulk-priced ammo deal comes packaged in your choice of 100 round bags with standard shipping or free shipping when you order a 1000 round case (10 bags). 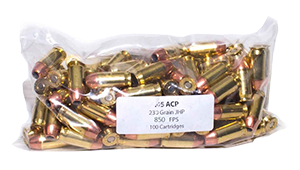 Available in 9mm Basic FMJ and .45ACP Pro JHP! Please be advised that firearms often sell quickly following our emails and the last few will always be reserved for our Team Buds Members. Product prices and availability are subject to change without notice. Prices and availability were accurate at the time this email was sent; however, they may differ from those you see when you visit BudsGunShop.com. 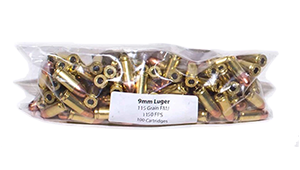 Distributed by BudsGunShop.com, 1105 Industry Rd, Lexington KY 40505.